I was recently asked to assist a veterinarian transition from general practice to emergency medicine. Now, if you've never been exposed to the emergency medicine side of veterinary medicine, it's a whole different world. That said, it's a great opportunity to practice in an exciting way! So, here, some helpful hints to reduce your anxiety of transitioning to emergency medicine. These are tips from the emergency trenches! 1) Remember the old saying: when you hear hoof beats, think horses. Common things happen commonly. Don't try to overthink every case. Sure...every now and then you will find yourself in zebra territory in the craziness of emergency medicine. This is just the nature of the ER. But common things are common. Remember this when evaluating and working up a patient. 2) As compared to daytime primary care medicine, emergency medicine is totally different in terms of the client perspective. When someone walks into the ER, they are often scared, upset, frazzled, stressed, frustrated, angry, etc. Whether or not you think it is an emergency, it's an emergency for them and their pet! An ear infection at 3 AM on a Sunday? Seriously? To them...EMERGENCY! So understand that the client's mindset is a little different coming into the ER. They expect rapid evaluation, rapid diagnostics and diagnosis, and resolution of the issue. Even if the problem has lasted 2 months...and they present at 2am on a Friday morning - they want the problem solved NOW! Keep in mind that we don't always know the circumstances (maybe they didn't have the funds until now), or that maybe the situation culminated until it was dramatically worse. Be empathetic towards it. And just fix it. 3) With that in mind, when the stressed emergency client walks in, make sure to communicate effectively and document appropriately. Remembering that the ER client is a different "breed" than the client presenting to the primary care veterinarian, make sure you communicate and document ALL discussions in the medical record. We live in a litigious society and unfortunately, you may not have a long term relationship with these pet owners (as compared to primary care medicine). Due to the "stress" of being in the ER, clients may be emotional, frazzled, and upset. As a result, they may not "hear" everything you say. Document your recommendations, document your financial conversations, document your diagnostic results. Document all conversations. If this saves you once in your ER career...you will thank me. More importantly, make sure to provide good client handouts. 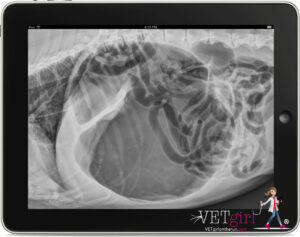 VETgirl's favorite? www.petplace.com. By printing out a handout of the disease process, it provides the pet owner some information that they can take the time to read at home, once they are less frazzled and stressed. 4) Emergency medicine may be a slightly different approach as compared to how you evaluated cases in general practice. Whether you are a bundle of energy or "laid back," I would make sure you are thorough. Make sure you effectively communicate your results, concerns, etc - and then provide your clients with a thorough and reasonable set of diagnostic and therapeutic options. I try to present a thorough set of options for owners and explain to them why other options are not reasonable. I will discuss the pros/cons, and help them make decisions. Make sure to work with your pet owners appropriately! After all, their veterinarian may be able to perform some of these diagnostics too. Most importantly, save the money towards treatment, not necessarily unnecessary diagnostics. VETgirl has MANY great online veterinary continuing education webinars, podcasts and videos to brush up on emergency medical issues and emergency procedures to help you become more efficient and comfortable in the emergency room (as well as general practice). Thanks for these tips! I’m about to transition to ER after 30 years in general practice. It’s comforting to realize that it’s not all going to be weird, critical cases.